Be Prepared To Do SOMETHING To Your Hair Every Day! I had a conversation recently with a good friend. 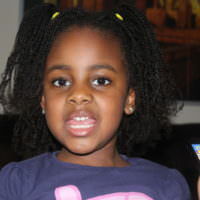 She has had natural hair for the same amount of time that I have but she is part of the ‘stuck at shoulder length’ brigade. We were just chatting generally when the subject drifted to hair (as it usually does) and she mentioned wanting to take down her weave soon and was looking for another low maintenance hairstyle. ‘I want a hairstyle that I don’t have to touch in the morning, just leave the house’ she said emphatically. Huh? Are you kidding me? I have issues with that statement. Even when I have worn braids in the past, I have always sprayed my hair with conditioner or water in the morning and even a wig needs tweaking! 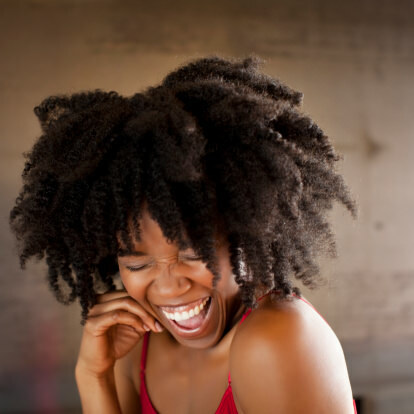 As we know, a lot about hair growth for us black women is in goal setting or at the very least, paying attention to your hair! This does not mean just being conscious of your hair at the weekend when you shampoo or when you are doing your co-wash every other day. 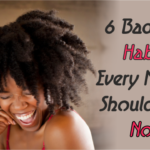 It means being conscious of your hair growth efforts every day, yes every day! 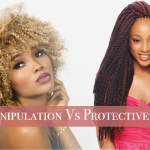 You don’t have to fall into excessive manipulation or even have a different hairstyle every day, it just means being conscious of your hair and everything you do to it, a quick comb through of your wrapped straightened locks in the morning or a quick fluff and style of your 2 day old braid out. 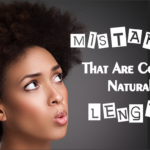 Just be aware of what you are doing and you will avoid the most common mis-steps of growing black hair long like inccorrect combing techinique or the fact that you have not moisturized your hair yet that day. There have been studies done on the way the human brain works that have found that just thinking about doing a task that you would usually use your right hand to do stimulates the area of the brain that deals with your right hand as if you were actually performing it! The mind is a wonderful thing and makes no distinction between thought and action so just thinking something as simple as ‘oh my hair looks longer and healthier today’ will stimulate your body to make this a reality. Blood flow will be stimulated to your scalp to encourage growth and you will start to do things for your hair that will enhance growth like moisturzing etc. 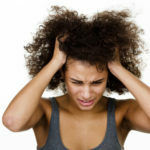 If you are looking at yourself in the mirror every day and you spare a few minutes to think about your hair, you will begin to notice things about your hair that you might otherwise miss. ‘Hmm this 2 week old press looks greasy and stringy now, time to wash my hair!’ or ‘My cute braid out has turned into a tangled Sideshow Bob mess, time to detangle and redo it!’. Trust me positive thinking works a treat. Bottom line is a hairstyle that you do not have to touch in the morning will just lead to the mistreat of your own hair in the long run. 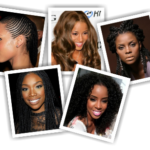 Black Hair Information > Recently Added > HAIR CARE > STYLING > Be Prepared To Do SOMETHING To Your Hair Every Day! i do believe whole heatedly that you don’t have to do something to natural hair every day because i used to be like that. right now i just have no discipline and love to put my hands in my hair. What i used to do is wash my hair at the end of the week, detangle and then comb it for the rest of the week, wrap it each night, put gel on the edges if i think it needs it and leave for the day, and at the end of the week i repeat the process. I need to start this again. my hair was in an awesome condition and wasn’t breaking. If i felt my hair was dry, in the night i’d spritz the style with a little water and glycerin or leave-in and then wrap it and forget it. it’s really not a lot. 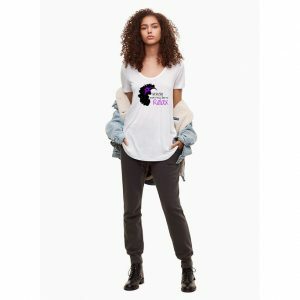 Having natural hair isn’t a stressful task as some pepl make it out to be , and that you have to do a million and one things to maintain our hair. Then again everyone is different as many of us already place waaaaaaaaaaaaaaaay too much stress on our precious hair and also depends on the style that you have it in i guess. I just figure that if your aim is to have healthy hair, one of the main things that we should incorperate is having less manipulation, and in order to do this see take not of all that ur doing to your own hair and think of a way that u can make it easier on yourself to make life less complicated than it has to be. 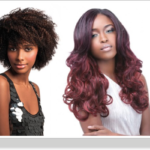 How can I start taking care of my hair if I’m wearing a sew-in?